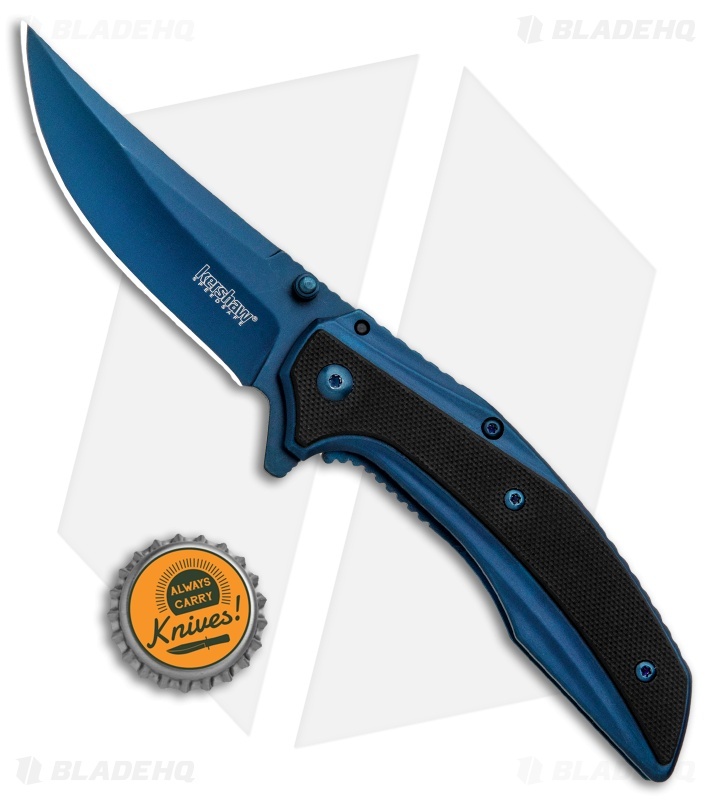 Blue skies will be smiling at you with the the Kershaw Outright spring assisted knife. A blued handle and blade are accentuated with a black G-10 scale for a sleek look. Clean, flowing lines and a slim design make this a comfortable pocket folder you will always want at your side. 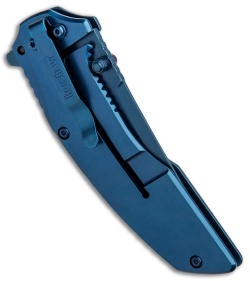 Speedsafe assisted opening mechanism provides rapid deployment with the aid of a flipper opener. 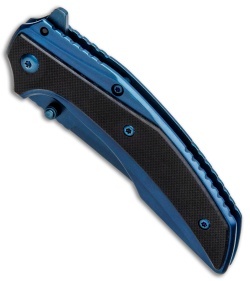 Ambidextrous opening is facilitated with dual thumb studs and a blade flipper. Deep-carry stainless steel clip for secure tip-down pocket carry. I received this knife for Christmas and it came very sharp, a nice spring, and a beautiful color. 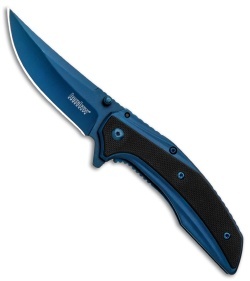 One issue is the blade is a little off centered and it has rubbed the pve coating off a small area.